MLB offseason: Which team won the offseason? 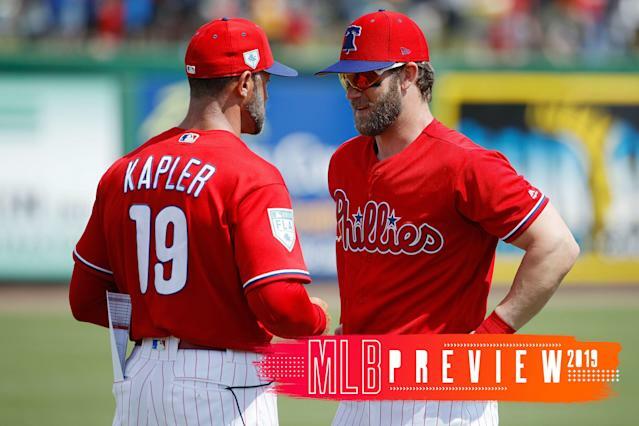 MLB preview 2019: Which team had the best offseason? The idea of “winning the offseason” doesn’t always play in baseball. We’ve seen too many teams in the past two decades go over the top with additions and trades, only to watch it all fall apart during the regular season. It’s not the NBA, where you can quickly make over a team with a few key moves, or the NFL, where a few positions are so important that if you hit on them, your fortunes change quickly. Winning the offseason in baseball is more about making the right move at the right time — the trade that brings the missing piece, signing the free agent with the potential that other teams don’t see. As smart as baseball is these days, getting everything to line up well enough to win a World Series is still quite hard. Which brings us to the 2019 MLB season. With opening day now less than two weeks away, we’re continuing our series of season previews with a roundtable discussion about which teams had the best offseason. Our crew of baseball watchers and writers each have a choice in the matter, and we’re all looking at the senior circuit. Next in this series: Our predictions for the biggest story in baseball ... Tim Tebow! Coming Wednesday.